processes. Thanks to its user-friendly interface, the voltage and wire speed settings are made easier. 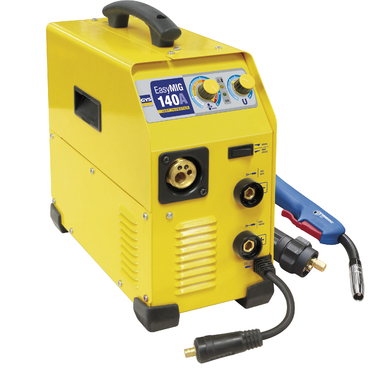 The EASYMIG140 is one the best compact DIY MIG/ARC on the market today. Designed to the smallest size possible it has few compromises. Eurotorch and Dinse sockets for earth and arc lead are built-in, just like on professional machine. There is no cheap 4mm hose that requires adaptors to use industrial size cylinders and best of all, the wire feed and power settings are fine tunable making this MIG/MMA the easiest machine to use. Not sure if this is for you? Call us or come to the shop and try the machine for yourself.